Warm, contemplative and slow, “Brooklyn at Dawn” finds Aaron David Gleason at a particularly poignant moment of reflection and truth. The thing about the “singer/songwriter” is that, much like the minstrels of yore, singer/songwriters often tell us stuff we already knew: It’s all about the packaging – the composition of a song that relates a lesson or idea we were aware of, but not necessarily adhering to. It is precisely in this manner that Aaron David Gleason’s introspective “Brooklyn at Dawn” moves listeners, offering the clarity and contemplation that only the morning’s earliest hours tend to provide. 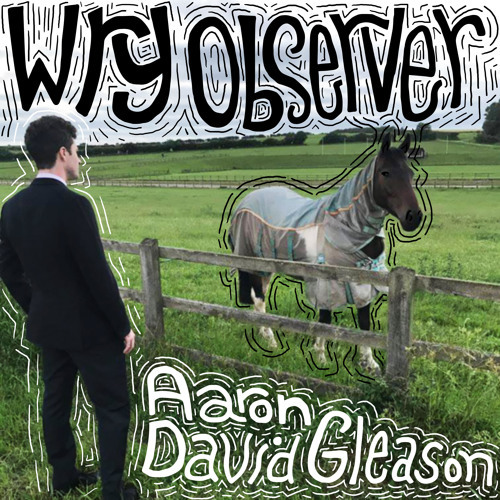 Atwood Magazine is proud to be premiering “Brooklyn at Dawn,” the latest single off Aaron David Gleason’s sophomore album, Wry Observer. The somber final cut off an emotionally intricate and musically expansive record that’s been years in the making, “Brooklyn at Dawn” feels much like the setting sun: Warm, contemplative and slow, the mature finale sends us off into a world we cannot see clearly, but we can step into it with a kind of silhouetted confidence. Aaron David Gleason needed some time to live life after his last record, before he could once again put pen to paper: “I couldn’t write another song without repeating myself,” he says. He moved from Los Angeles to New York in pursuit of an acting career, only to dive back into music headfirst. Wry Observer takes him through personal and professional obstacles, unique and universal life changes that are not only relatable, but also incredibly impactful and moving: For a man who felt he didn’t have anything to say, he’s found quite a lot to share. I never really was told. Wry Observer is out October 27. Dive into the passion and heat of an artist who’s found his voice once more, exclusively on Atwood Magazine.